The 'Our Wings' page of the Norton-March Aircrew Association History includes information as a link to the images. 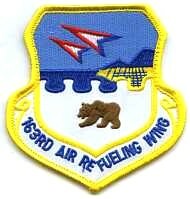 They include Fact Sheets or latest known fact sheets of our Bases, both Norton AFB, CA and March AFB/March ARB, CA. Click on the images below to open up or download a Fact Sheet.